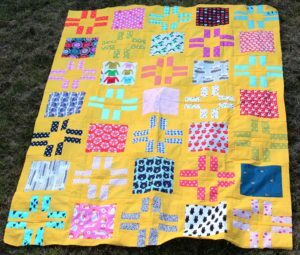 This quilt is sure to become a favorite! 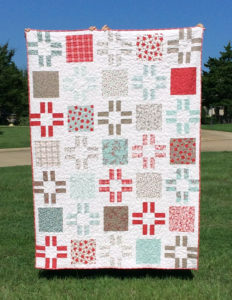 It’s a new Shortcut Quilt featuring the Layer Cake Custard FREE Pattern and video tutorial! 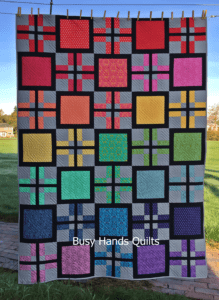 The Layer Cake Custard pattern includes instructions to make a delicious quilt that finishes at 63” x 88”. It makes a great gift and is very beginner friendly! Kimberly shows you how to make the two main blocks that make up this timeless beauty. Thanks to 10″ precuts (we used the Flower Garden Gatherings Layer Cake) it comes together quick and easy! The charming Layer Cake Custard Quilt Kit was made using Flower Garden Gatherings by Primitive Gatherings for Moda Fabrics. We also have a matching Backing Set to help you finish up your quilt! So let’s get quilting! Follow along with Kimberly on our video tutorial as she walks you through the Layer Cake Custard pattern step by step! 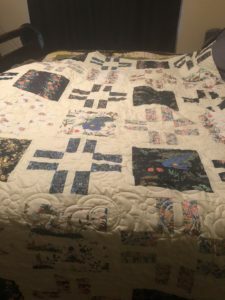 We were so happy to have some quilty friends make their versions of this Shortcut Quilt with us! Check out their blogs to see their unique twists on the FREE pattern Layer Cake Custard! Carol of San Francisco Stitch Co.
*one of two Layer Cake Custard quilts that Leanne made! *two of two Layer Cake Custard quilts that Leanne made! I love seeing all the versions of this wonderful pattern… each one is gorgeous! How fun to see so many color ways for the exact same pattern. Great job, ladies! 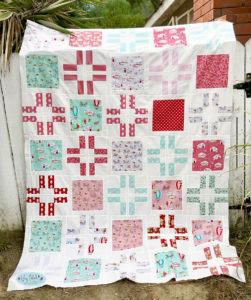 I love this pattern and “short cut” is always good when you need a quick quilt. Great Pattern and Great Size. Thank you!! !